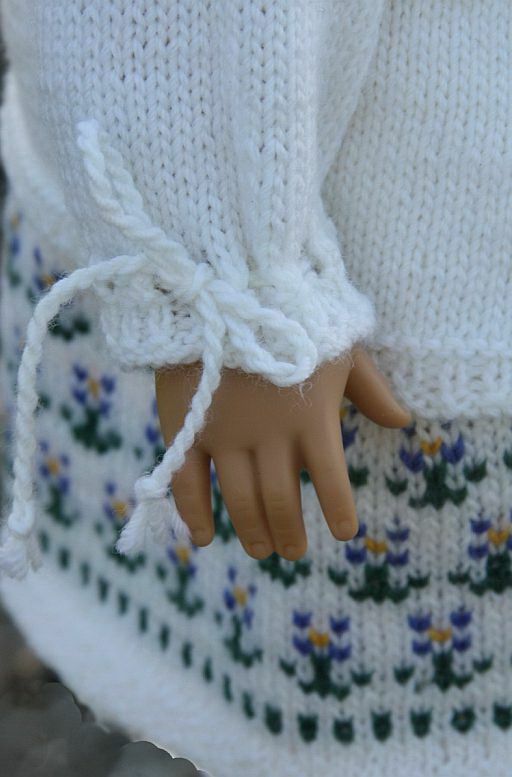 ... the time has come to dress in light, delightful summer clothes. 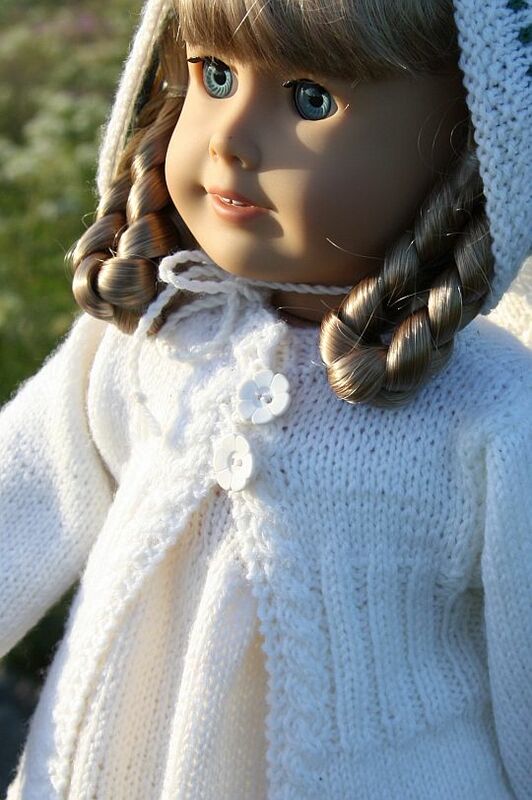 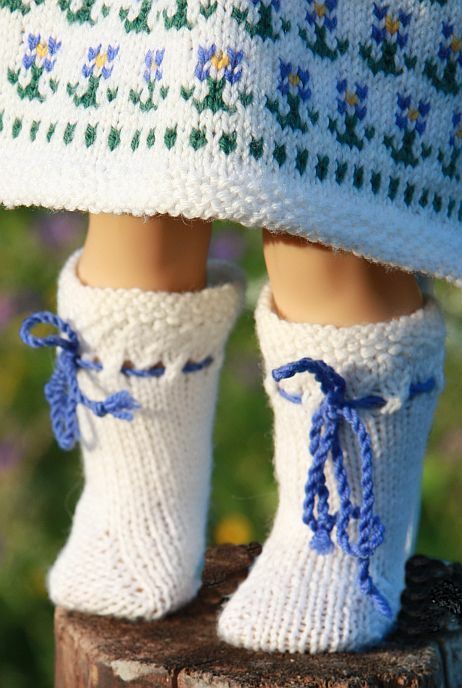 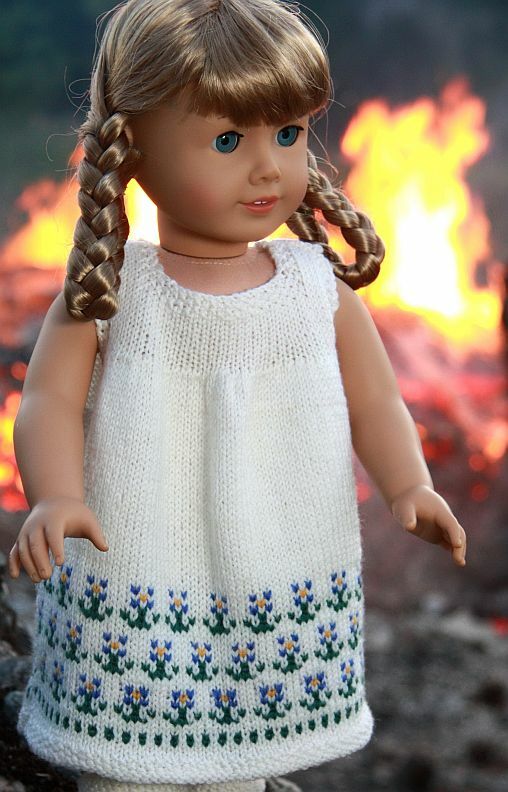 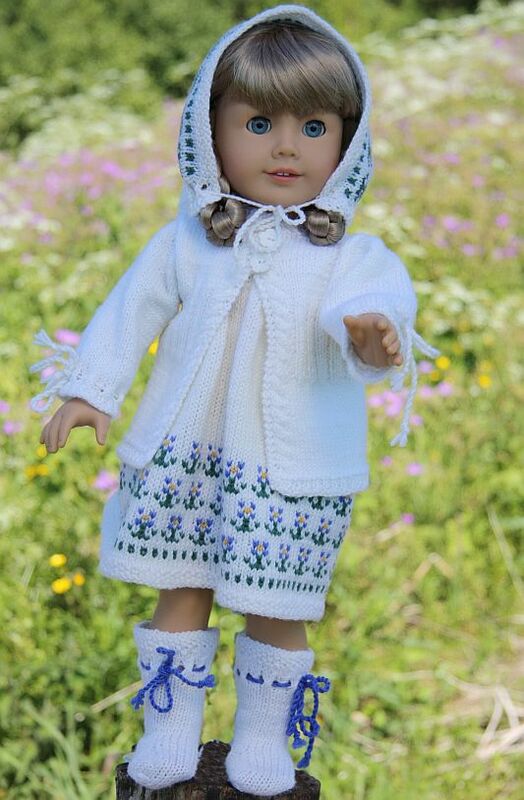 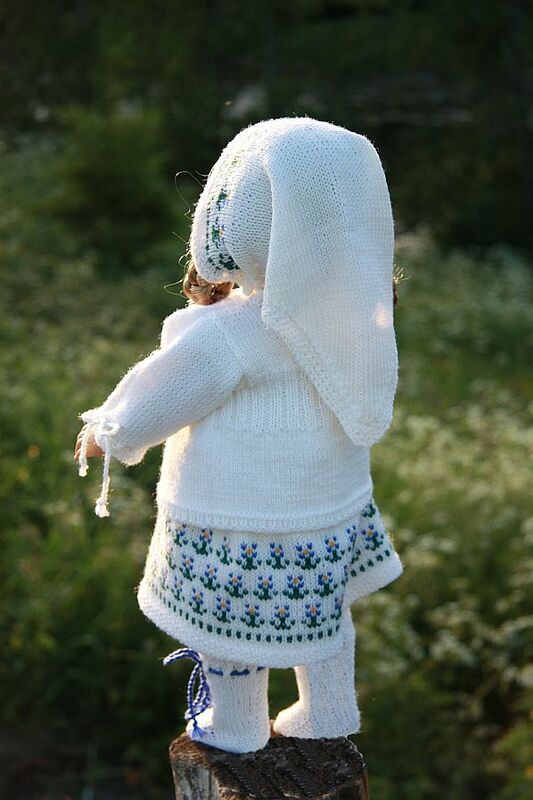 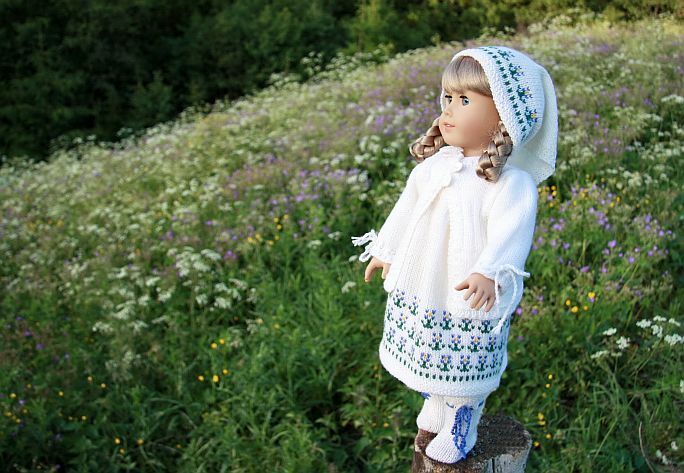 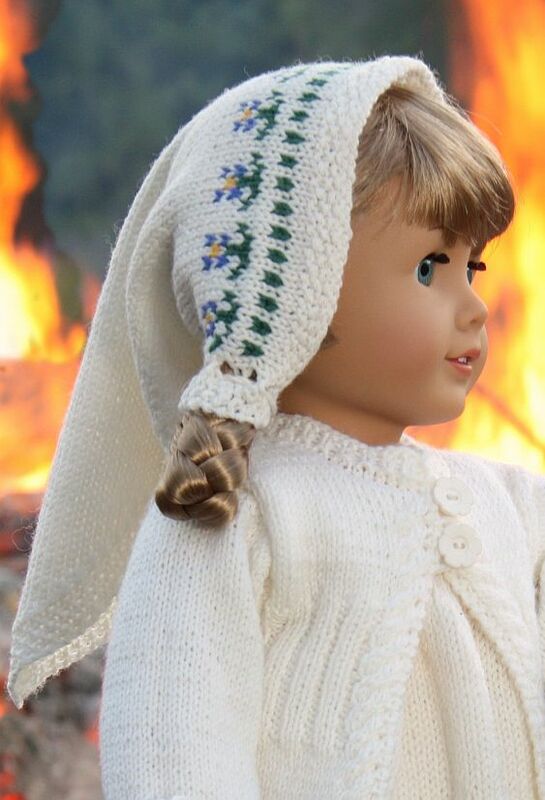 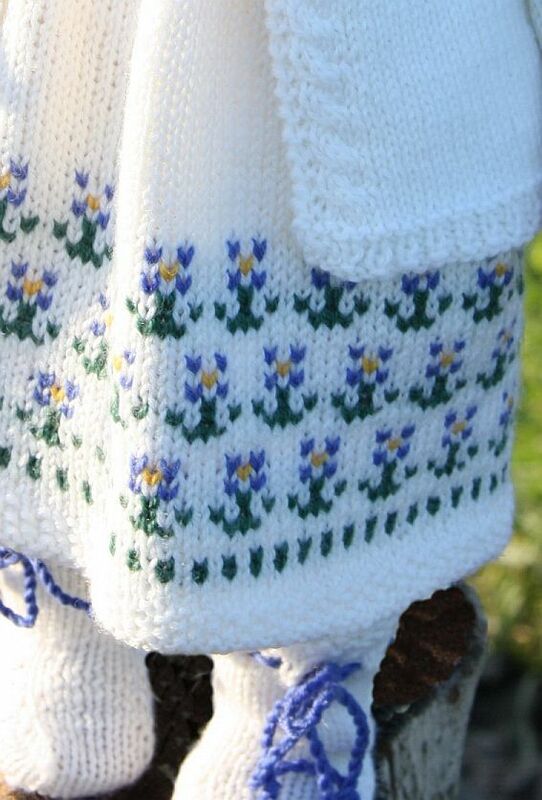 And what fits better on a midsummer evening than Maulfrid's "forget-me-not" doll dress, a knitting doll clothes design specifically intended for American Girl Kirsten, still you may very well use it for other 18 "size dolls . 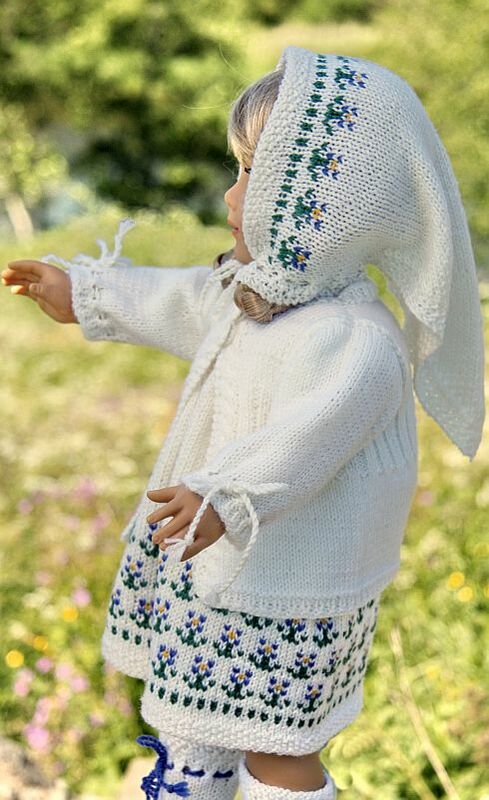 This is design no seven in a collection of twelve knitting patterns for doll clothes to Kirsten. 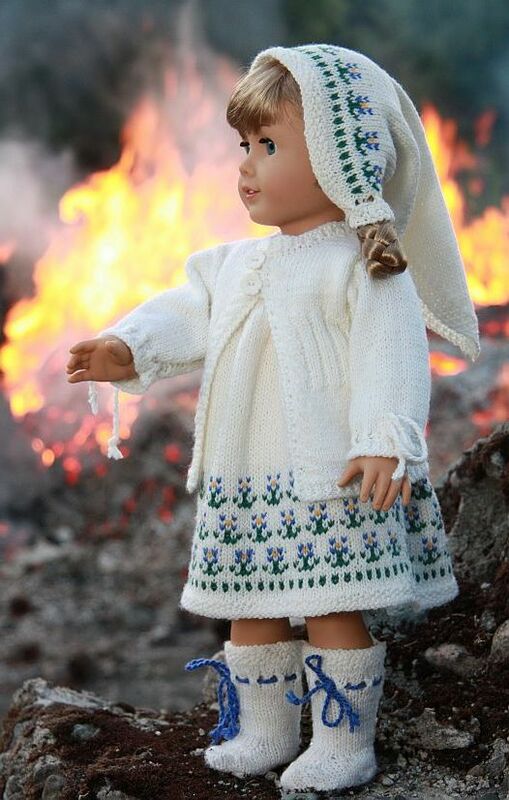 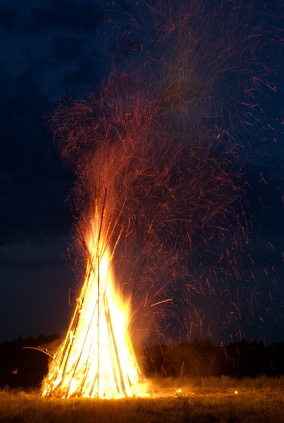 Here are the six costumes that are already in place..
... and not come too close to the fire.